The McMillan Memorial Library in Nairobi, Kenya. 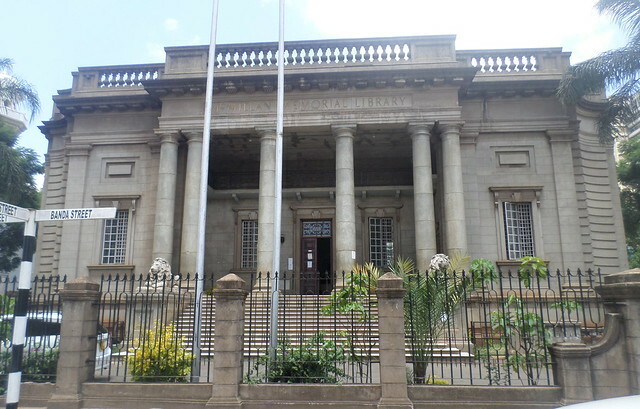 Infrastructure and public amenities have long been used as tools to enforce segregation; The McMillian Memorial Library, located on Banda Street, in Nairobi’s Central Business District, is one example of this. The first stone was laid in 1929 and the entire structure was completed two years later, in 1931. 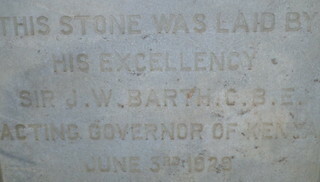 A stone laid by the Acting Governor of Kenya in 1929, when the country was still under British rule. Lady Lucy McMillian built the library in memory of her husband William Northrup McMillian who had died in 1925. William and Lucy, both American citizens, came to Africa in 1901, and settled in Kenya in 1905. At the time the building was completed, Kenya was still under British rule; the country wouldn’t become independent until 1963. Under colonial rule, there was widespread discrimination against black Africans. Black Kenyans were not even supposed to be seen. To this end, when the Library was completed in 1931, it was open only to whites and placed under the management of a Trust and the Carnegie foundation. In 1960, Lady Lucy approached the government to find out if they could take over the management of the Library, as the work had become too much for the Trust and the Foundation to handle. The government agreed, providing one condition: that the library be made accessible to all. In 1962, management of the Library was turned over to the City Council and it became open to everyone regardless of religion, tribe or race. 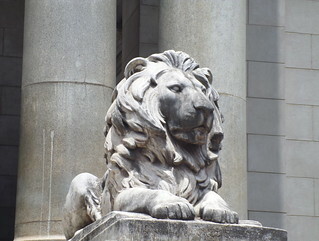 One of a set of stone lions that flank the Library entrance. With the exception of some renovations, the library maintains its impressive structure. It remains iconic, drawing people from different parts of the world to access its rare books, newspapers and Africana collection. Post and photos by Oyebanke Oyeyinka and Abigail Abilla. This is one of many posts responding to the question, “What’s Happening at the Oldest Buildings in Your Town?” If you’d like to submit an example from your own city, see the easy steps here. Check out yesterday’s post on The Bensousan Han in Thessaloniki, Greece.